Fair Trade Certified, RainForest Alliance and UTZ, these certifications may be the most important aspect of why a coffee might be bought by an international trader, coffee company or individual consumer. Being able to have exceptional cup isn’t enough most of the time nor is it the most important aspect. The certifications obtained by individual coffee farmers and cooperatives has brought some transparency to the coffee industry and no doubt better practices in general but has unfortunately lost the human contact and not created real value to farmers. When we say human contact it’s truly the impact these certifications have on the lives of theses farmers. When we say real value we mean most of these farmers feel and see it truly has no benefit. To them it honestly has none. They view most of the certifications is as a vehicle to achieve a higher premium for their coffee at a commodity price the moment of sale at the local cooperative or with the international buyer. Not the real price for a specialty coffee nor does it reflect what price should be paid for the specialty coffee if each country is different even the departments in Colombia are different. If we are honest about the realityi t’s that coffee farms do not all produce a specialty cup, nor will their whole harvest achieve the 84+ cup scores specialty coffee companies desire to buy. So where's the standard? Translated: I have not obtained the Rainforest Certification because it doesn’t provide me a benefit, and only allows to negotiate a few more pesos when this business is so hard already. There aren’t any coffee pickers, and apart from that we are exposed to Coffee C prices to produce a coffee that isn’t having any returns. We are growing coffee with losses because it's something we have done our whole entire lives. Does Quanta Coffee bring value ? YES!!!!!!!! We are sons of Coffee Farmers, people that grew up in the lands of Genova, Quindío. 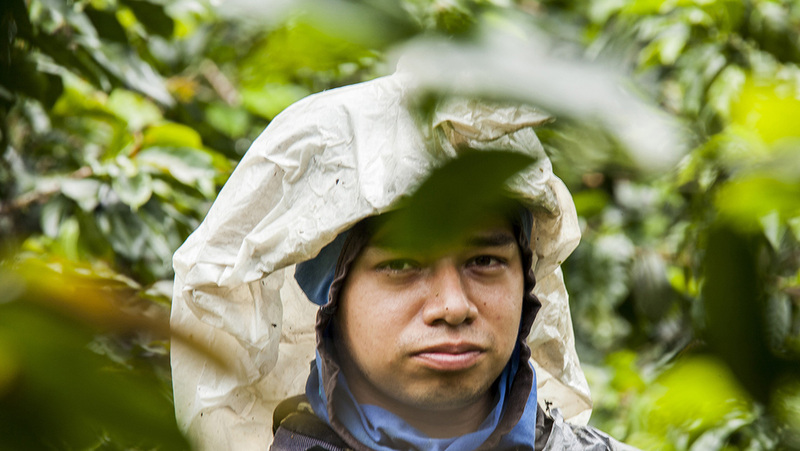 We have been affected by the highs and the lows of the Coffee Production. We have analyzed how we as individuals can better the lives of the Colombian community and its people. Quanta Coffee understands how tedious the coffee production is and how much it costs and the amount of work that goes into producing a coffee the is Specialty Grade. We make sure we provide our coffee producers the help, human contact, the relationship, and the final consumer for their amazing product. Join us in Quanta Coffee as one of your go-to specialty coffee companies that provide you with a traceable coffee, that isn’t worried about certifications because we are involved in each step of the process. Taste the difference Quanta Coffee has to offer if you are a coffee shop owner, roaster, or individual.